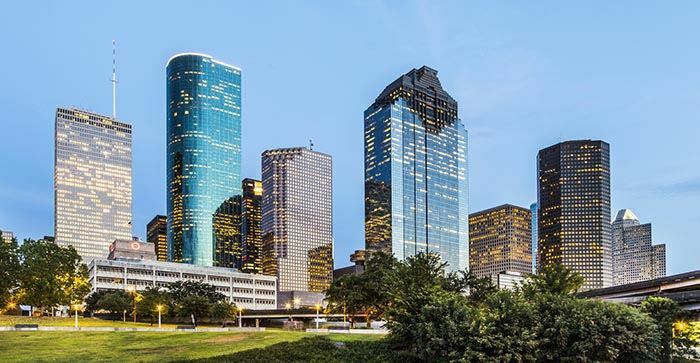 The Houston Intellectual Property Law Association is an organization of intellectual property lawyers, patent agents, and law student affiliates primarily in the Houston. Texas area. Through regular meetings, sponsored CLE opportunities, and amicus briefs, HIPLA promotes the development and understanding of intellectual property law. HIPLA recently held its annual judges dinner at the Houston Four Seasons Hotel. Federal judges from the Southern District and the Eastern District of Texas were in attendance. HIPLA awarded scholarships to nine law students from University of Houston Law Center, South Texas College of Law, and the Thurgood Marshall School of Law. The keynote speaker at the dinner was Janis Schmees Burke, CEO of the Harris County Houston Sports Authority. Ms. Burke spoke about the city’s many achievements under her leadership, including the major sporting events that had been awarded to the city as well as the numerous sporting venues that are being developed in the city. Pictures from the event are available on the photos page. HIPLA successfully hosted the Southern Regional Competition of the 2018-19 Giles Sutherland Rich Moot Court Competition on March 22-23, 2019. The Washington University in St. Louis team of Margaret Helmke and Peter Jochens won the competition, while the Univesity of Houston team of Jaime Stark and Lauae Wolfe finished second. The two teams also had the best briefs and Margaret Helmke was awarded the best advocate. HIPLA held an evening reception for the teams and volunteer judges. Pictures from the event are available on the photos page. HIPLA recently participated in the Annual Scientific Symposium at the Michael E. DeBakey High School for Health Professions. The symposium serves to provide academically able students with an understanding of career pathways in STEM professions. HIPLA members discussed careers in intellectual property law with the students. HIPLA also participated in the 60th Science and Engineering Fair of Houston held at the George R. Brown Convention Center on February 23, 2019. HIPLA members judged participating entries and awarded scholarships to the winners in each of the Junior and Senior divisions. HIPLA filed an amicus brief in Helsinn Healthcare S.A. v. Teva Pharma USA, Inc., No. 17-1229, a case that the United States Supreme Court recently decided. In Helsinn, the issue presented was "whether, under the Leahy-Smith America Invents Act, an inventor’s sale of an invention to a third party that is obligated to keep the invention confidential qualifies as prior art for purposes of determining the patentability of the invention." HIPLA’s amicus brief is in support of neither party, and can be downloaded here. We will also be hosting a luncheon in early Fall 2018 specifically targeting patent agents to discuss your ideas and to network with your peers. More details to come soon! *HIPLA membership is limited to registered patent agents and attorneys in good standing with any state bar who practice IP law; student and retired status memberships are also available. If you have questions about HIPLA, please contact the HIPLA secretary. If you have questions about this website or would like to notify us about IP events to be added to our calendar, please contact the HIPLA Website Chair.